Samantha Biggin (previously Carrington) is a Registered Nurse, Advanced Nurse Practitioner and Non Medical prescriber, with 20 years of experience in healthcare. Having branched into the field of Aesthetics Nursing, Samantha is proud to have created SCA, delivering a client-centred service, working hard to provide a professional, safe, and high quality experience. Samantha completed her training in the administration of line softening injections and dermal/lip fillers with Cosmetic Courses, one of the UK's leading cosmetic training providers (recently short listed for 'Best Training/Educational Development' award), and has completed further advanced training with Wigmore Medical, Allergan, Bioactive Aesthetics and Alumier MD. 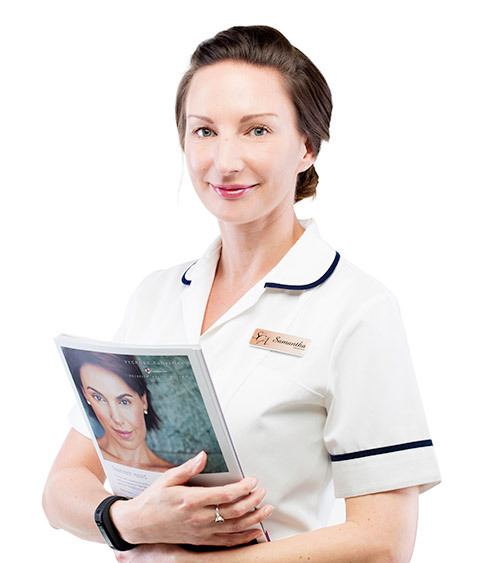 Registered with the Nursing and Midwifery Council (NMC) and the British Association of Cosmetic Nurses (BACN), Samantha values continued learning and develpment, striving to provide the very best results for her clients.